With enthousiasm the societal, business and institutional policy makers of the Dutch region of Brabant (2.5 million inhabitants) commit to the Brabant Health deal in the short video with English subtitles. European commissioner for Health and Food safety, Vytenis Andriukaitis, expresses his hopes that other regions follow. AiREAS and STIR are there to help and share our expertise of the last 7 years in developing our core Sustainocratic values. On Juli 22nd the Brabant Health Deal was signed at government level covering a territory of 2.5 million citizens. It is a significant evolutionary step in regional development, experimentally initiated by AiREAS (multidisciplinary healthy city cooperative) in 2011, making core human values lead the innovative discours rather than economic growth. After five years of cocreation sufficient proof of concept was provided to gain the trust of political-economic governance that investment in quality of life delivers local wellness, productivity, bureaucratic savings and a new innovative impulse for economic growth. Economic growth is hence a positive consequence when it is not the primary goal. This deal is our own motivation to invite the rest of the world to participate in a Global Health Deal. Health is an abstract given that only seems to concern us when it is absent. Nevertheless, when we observe nature we find that the evolution of lifeforms is based on health. Everything that is not healthy eventually disappears to be replaced by something else that is healthy again. The human being has difficulties in dealing with abstractions that belong to our core evolutionary responsibilities. As a self-aware species we tend to use our wit and creativity primarily for self fulfillment in a competitive world. This was OK as long as our surrounding nature and corresponding lifeforms were big enough to cope with the collateral damage caused by the destructive human species. Now, with a consumer, capitalist lifestyle and 7 billion members of our species we have reached a point of mass destruction of life on Earth, including our own. Our competitive nature of greed reverts against ourselves through pollution, shortages, climate change, disasters and diseases. The system that produced our wealth is now producing our pains. Awareness driven change has become a choice, continue with the destruction or contribute to sustainable evolution. The key word becomes this abstract natural core value referred to as Health. We are confronted for the first time with our individual and collective leadership choice. Continue with mass extinction up to eliminating ourselves? Or use our wit and creativity for health driven evolutionary progress as a species. In 2009 the STIR Foundation announced its research commitment to establish a society based on the core natural values for stable and progressive human communities: Health, safety, cocreative local resilience, awareness and the basic daily needs (food, water, air). Sustainocracy became an experimental operational fact in which the core values lead and the 4 pillars of society (local government, science, innovative entrepreneurship, civilian social innovation) take responsibility together to establish priorities for project driven compliance through complex innovative change. 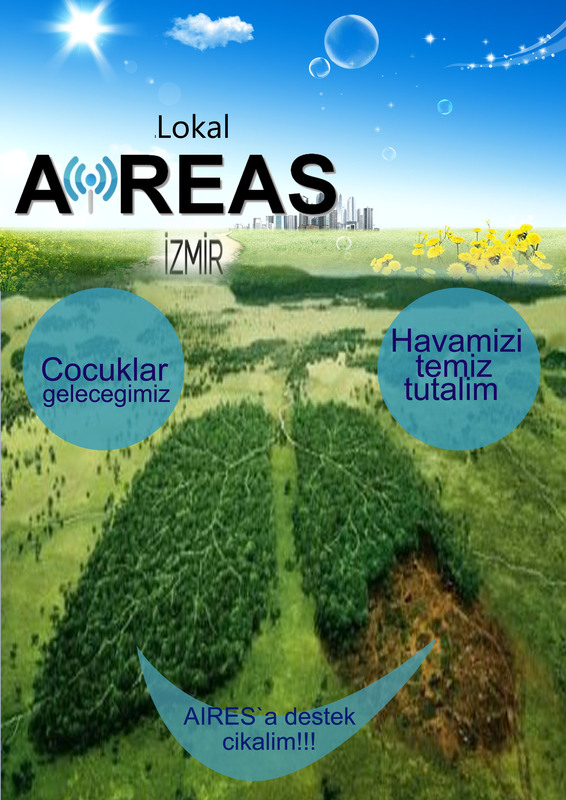 In 2011 AiREAS was founded to cocreate healthy regions from air quality perspective using the sustainocratic framework. This short film shows the impact of such multidisciplinary cocreation in which regional health (mental, physical, environmental) is the driver and economic growth a consequence. With the experimental efforts in STIR and AiREAS a new societal movement became our new reality in response to the known global and local issues and threats of pollution, lifestyle, shortages, global warming, etc. 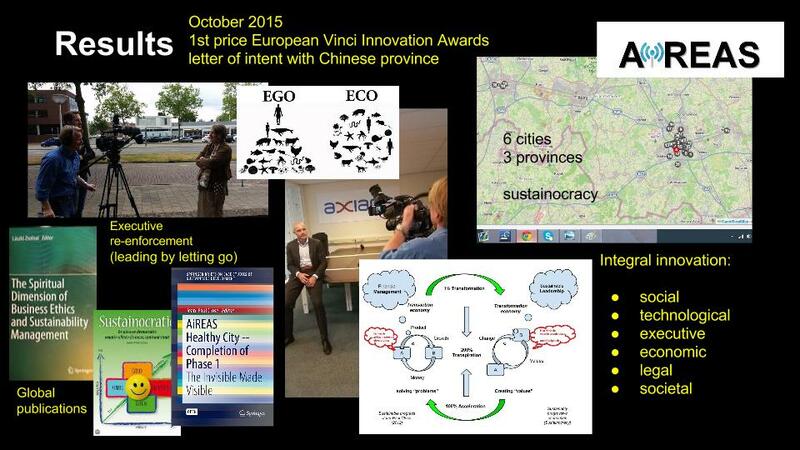 In 2015 it received the European Innovation Award and was accredited peer 4 awareness driven regional development. On Juli 22 2016 this resulted in the political-economic signing of the Brabant Health Deal at provincial governance level in Holland. For the first time the regional government executives of 5 mayor local cities and a province with 2.5 million civilians committed to making “health” leading in their policy discussions and decision making for territorial development. In this short film (mainly in Dutch) the stakeholders reconfirm their commitment with AiREAS in the core of their statement. 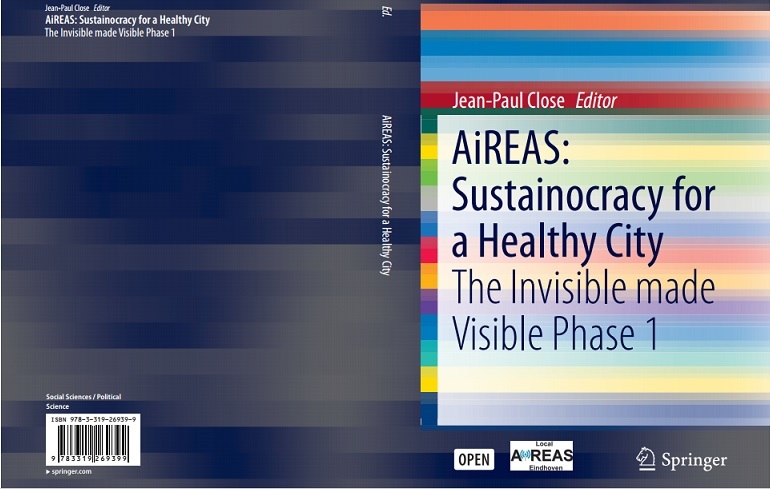 AiREAS had started as a civilian invitation to cocreate healthy cities and regions for our own civilian benefit, together with our institutional authorities and expertise. It had grown into an association of leadership in a human executive world of transition towards sustainable human, ecological and economic resilience. The Euro-commissionar in the film hopes that this Health Deal becomes a source of inspiration for all regions in the world. We don’t only second this motion as AiREAS pioneers with a global commitment. We also make our expertise available for all the regions that want to start their own local Health Deal with multidisciplinary commitment. Download here our GlobalHealthDeal proposition, the same way as we helped provide the fundament for the Brabant Health Deal. We continu with our permanent innovation platform around our health driven dynamic clustering of a great diversity of expert partners in complex regional development. Part of the Erasmus+ exchange program with Turkish students is their involvement in our healthy city co-creation. They rapidly develop expertise in their field of education stimulated by their own growing insight of the importance of taking care of our habitat and health. Their inspiration has taken them to create posters, websites, make small shows and presentations, continue their initiatives in their home towns and celebrate together their results through certification, photo´s and great enthusiasm. The last group decided to capture the process, that involves many 1000´s of youngsters and 100´s of teachers every year, in a short video….. The teaching is called Participative Learning, a peer 4 Sustainocratic method which stimulates self leadership, awareness and self learning mechanisms with a genuine direct contribution to society. One of the teachers remarked openly afterwards ´We have learned to appreciate much better our own students and are surprised to notice how much more they can do than we ever expected from them. We now realize that we need to change our teaching to deal effectively with their full capacity`. The morning session was dedicated to the large lines that are drawn towards the future. Organically new initiatives are being proposed according to the way of working of AiREAS within the field of cocreating a healthy city. This meeting is meant to discuss together in multidisciplinary context where we put our priorities for the coming years. This issue is not for decision making as it is part of our quality sensitivity as a team. We just need to position it in our processes. 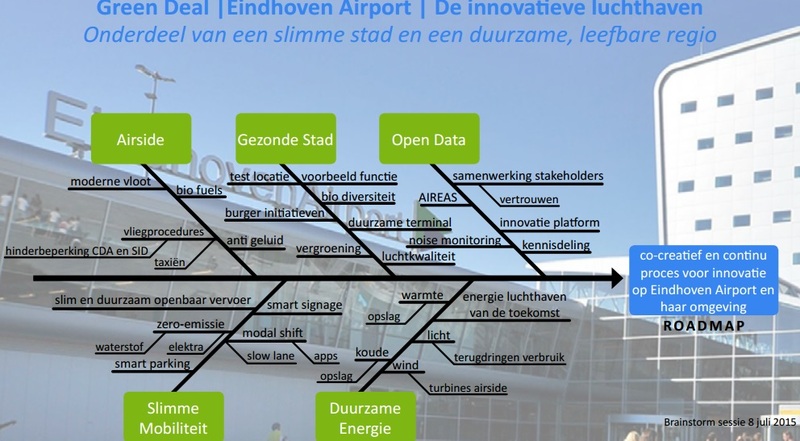 The innovative complexity of co-creating a healthy airport has been drawn up in a roadmap that resembles a fish spine. Each of the spines needs sustainocratic attention to produce unique innovations. 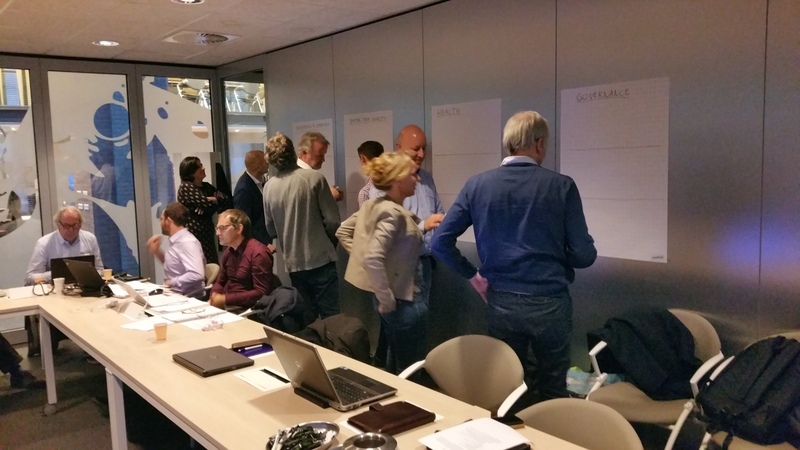 We decided to address the issue of many participants by establishing workshops first in which both the purpose and multidisciplinary cocreation is practiced. For each workshop and timeline we need “sustainocrats” to chair the cocreation. A new training for this responsibility has been defined. These are just a few of the 12 initiatives discussed. 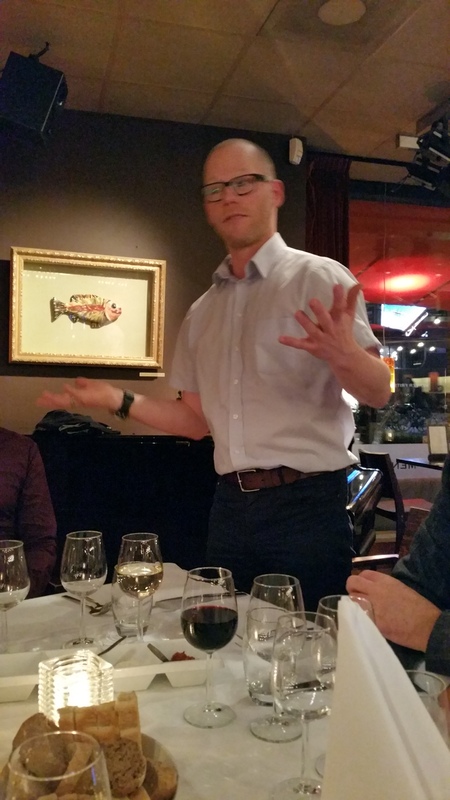 The afternoon was reserved for the multidisciplinary project called DAMAST (Development of an Automatic system for Mapping Air quality risks in Space and Time) of University of Twente. 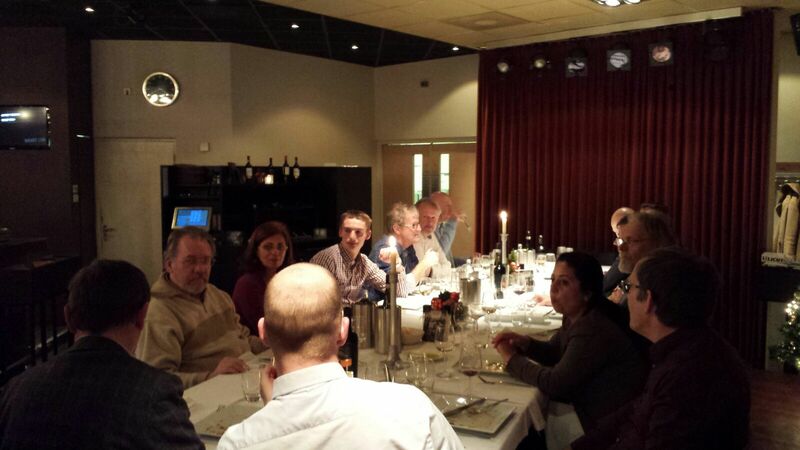 The evening was reserved for the annual general meeting that looks back at the achievements of the year. Rudy, what have you cooked for us? 14.000 visitors, over 400 expositions and more than 440 speakers from all over the world gathered in Barcelona for this years Smart City Expo edition. The STIR foundation (City of Tomorrow) was invited to speak about Sustainocracy and the innovative co-creation platform AiREAS. It remains challenging to talk about core natural and human values in an environment which is primarily technology driven. With my opening slide I wanted to inspire the audience with “my world”. My world is the diversity of life of which we are all part. As human beings we share the same molecules as other living species, gathered together in specific living formats. All life forms together form a eco-system based on core values. Such eco-system is always healthy as the unhealthy dies to make room for yet another healthy life cycle. This represents an adaptive evolutionary pattern based on interaction and continuous quest for harmony. 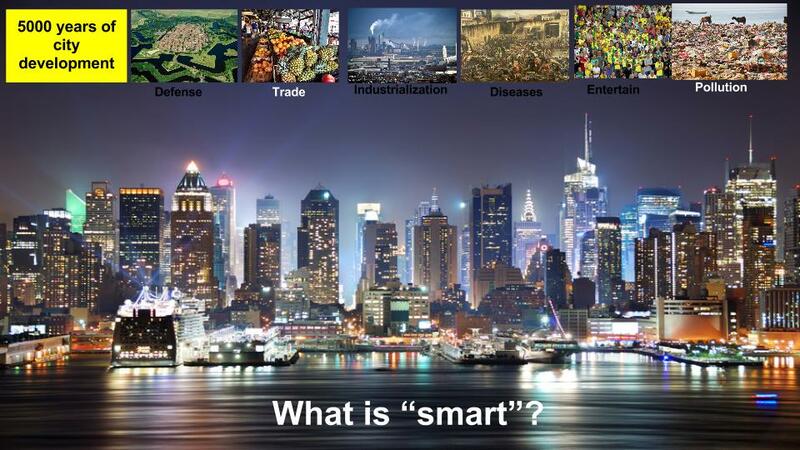 How do Smart human made Cities fit into this? When we compare the first picture with the second we find a natural ecosystem in the first, based on health and sustainable progress, and than a human made system based on pollution and the total separation of the core values of life. We economized both fragmented destruction and repair. From a natural perspective this can never be Smart. I used the global positioning of my home town Eindhoven in the Netherlands as reference. From a perspective of city marketing and amount of patents per inhabitant Eindhoven was declared the “smartest city of the world” in 2011. 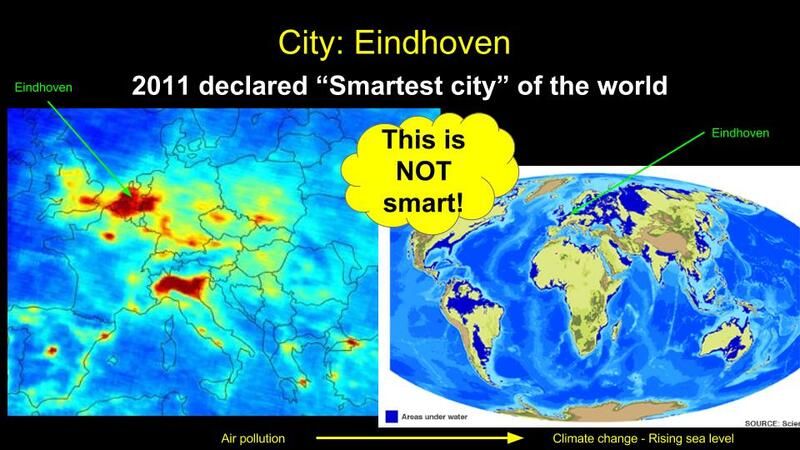 But how smart is a city that is located in one of the most polluted areas of Europe from air quality point of view? How smart is a city that contributes to its own vulnerability by adding to the global warming and rising sea levels? It is not smart, it is rather stupid. This “stupidity” has many excuses and so does the definition of “smart” within the context of our perception of reality. Our technological development has defined progress for thousands of years with peaking evolution in our current era of global industrialized distribution, tremendous population growth and expansion of our cities. Who has ever learned about core values when the human world turns around technology, economy of growth and politics? No one can be declared “stupid” if one is unaware of its own ignorance. Eindhoven became in my view really smart when it accepted to work together in our first Sustainocratic venture called AiREAS (air quality, health and city dynamics) in 2011. Gradually the city’s executive adopted the core value of “health” as leading principle accepting the “health deal” for regional development in 2015. The local province followed rapidly in this process. This has a major impact on the way the city and region deals with its new born perception of reality and the challenges that belong to such awareness. 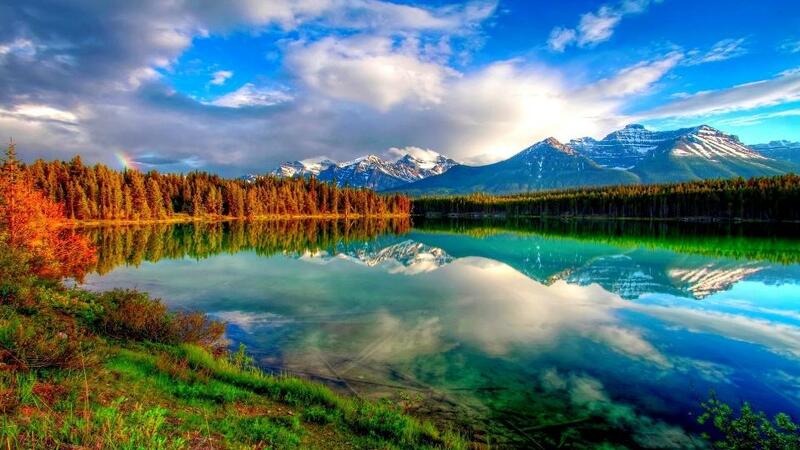 Our natural reality is much bigger than our human one. We see the effects of climate change and global warming on the world. The leadership is not in the hands of human economical or political hierarchies that are often blinded from core values out of narrow, fragmented self interest. The real leadership is in the hands of core values that we need to adapt to in an ever changing evolutionary process if we want to live and evolve in a sustainable way. When we pollute our environment we pollute ourselves with only one natural consequence, our own self-elimination. That can never be considered “smart”. So smart regional development has to incorporate the natural core values as leading parameters. 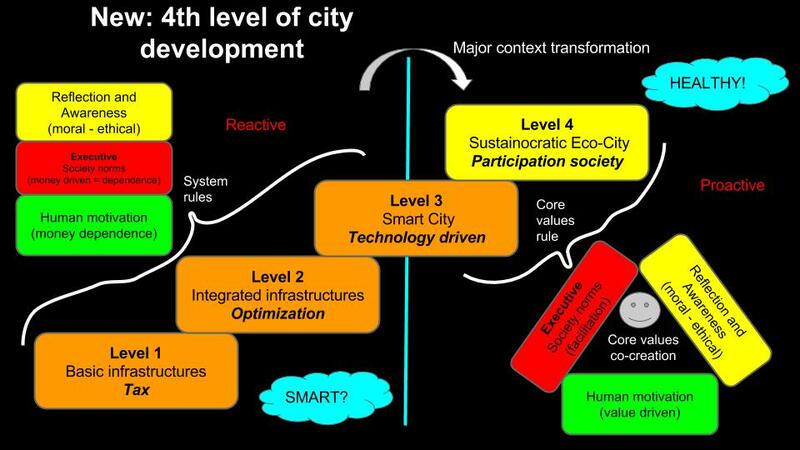 This introduces a new level of city development, the sustainocratic eco-city level, also referred to as level 4. This is not a level anymore of political or economic leadership but one in which the entire local community (government, science, citizens and innovative entrepreneurship) takes responsibility together, guided by one or more core values. In AiREAS we adopted air quality and regional health as leading parameters. That format of working together is not easy because it introduces changes for everyone traditionally involved in the functioning of a city. Just imagine the city executive stepping aside to transform from final responsible to co-creative partner? The open space for innovation that appears needs to be populated with projects that involve citizens and entrepreneurs that were used to leave the local responsibilities to the government through taxes and regulation. How do you reward “involvement” if our reward system is concentrated on industrialized processes, logistics for consumption and care systems to repair damages, rather than city productivity based on core values? How does the city’s economy transform if regional self-sufficiency is organized. 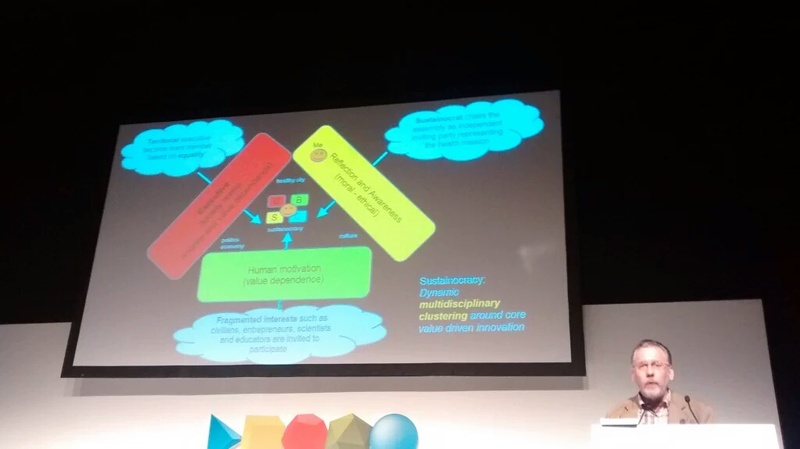 Is “involvement” the next “city tax”, a new circular economy of cohesion and innovative livelihood? 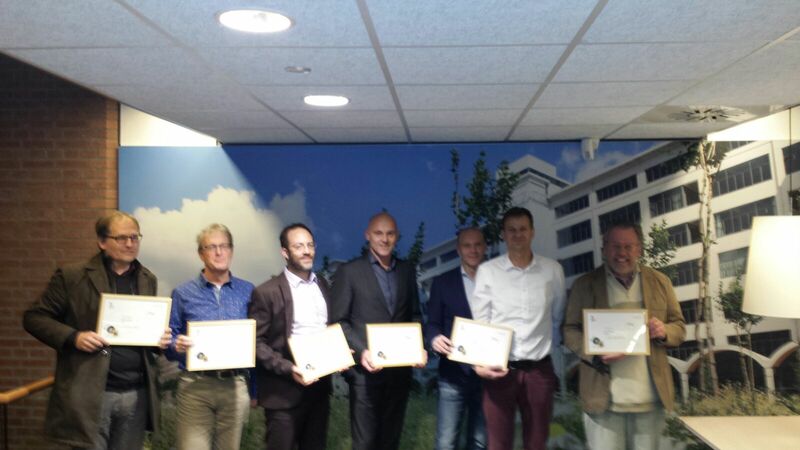 The experience we have in Eindhoven is that such core value driven productivity is very rewarding because of the unique innovations that are generated. These produce a new transformative economy of growth from within, the transformation economy. Winning a European innovation price already shows the potential of taking such measures. It is even exciting to realize that working on our own core values generates a global economic effect. In other words, the healthier we get the healthier our economy will become. All this re-enforces the local executive, the local citizens, our scientific knowledge and innovative forces. We also have early evidence that it will eventually harmonize and re-enforce also our local economic stability. Every region of the world is different and hence likely to produce its own unique innovations when working on the core values for itself. Each region will therefor bring unique innovations to the world from which we can all benefit. The only thing one needs to do is to establish the Sustainocratic commitment on level 4 regional development and chose the regional priorities within the scope of core values. One can start with AiREAS to initiate the local learning curve and grow level 4 as experience evolves with trust and positive results. The STIR Foundation is there to help, not just to help initiate the complex local level 4 sustainocratic processes but also to share the local innovations rapidly across the network through our STIR HUBs for triple “i” (inspiration, innovation, implementation) expansion. 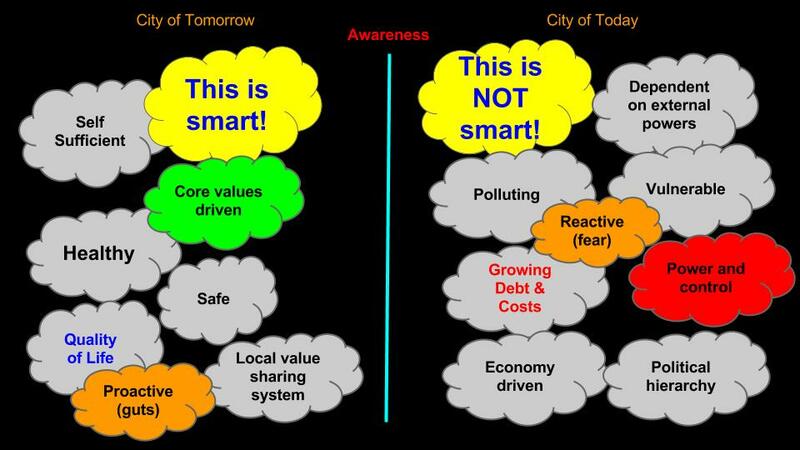 The world has a choice now to evolve from techno-city Smart to eco-city sustainable Smart. It will transform also the usage of technology on the underlying levels and gradually transform the city’s appearance and citizen’s interaction. It will also transform local costs and bureaucracy into investment with dynamics and multiple returns. “You were the only speaker in the whole Expo that talked about core human values” someone reflected. This is probably the case this year. Surely the Smart City Expo of next year will gradually show many more sustainocratic initiatives as the need to do so will break through into the awareness of local city executives around the world. To further help we will offer a free, open access book already in December 2015, that describes our first 5 years of sustainocratic co-creation in Eindhoven with AiREAS. Just leave your name and email address behind below if you want to be notified when it is available. Wish to react? Or say something about yourself?